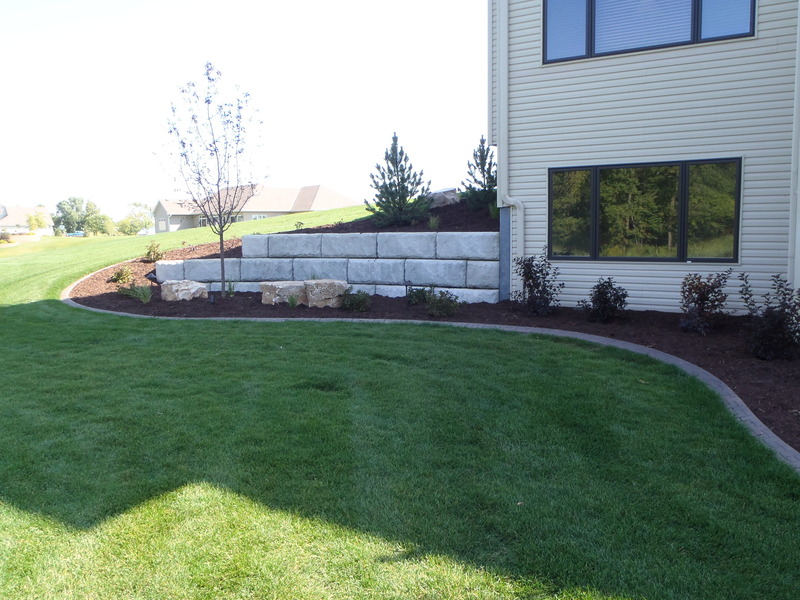 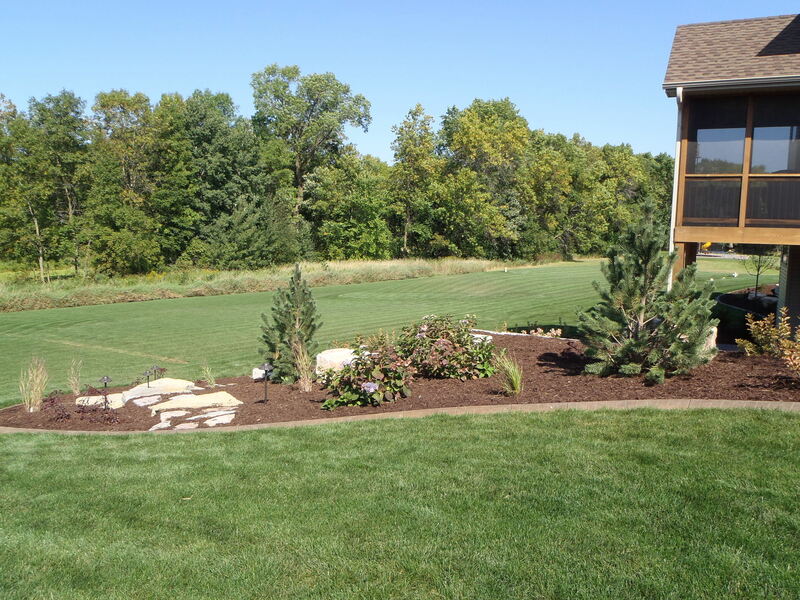 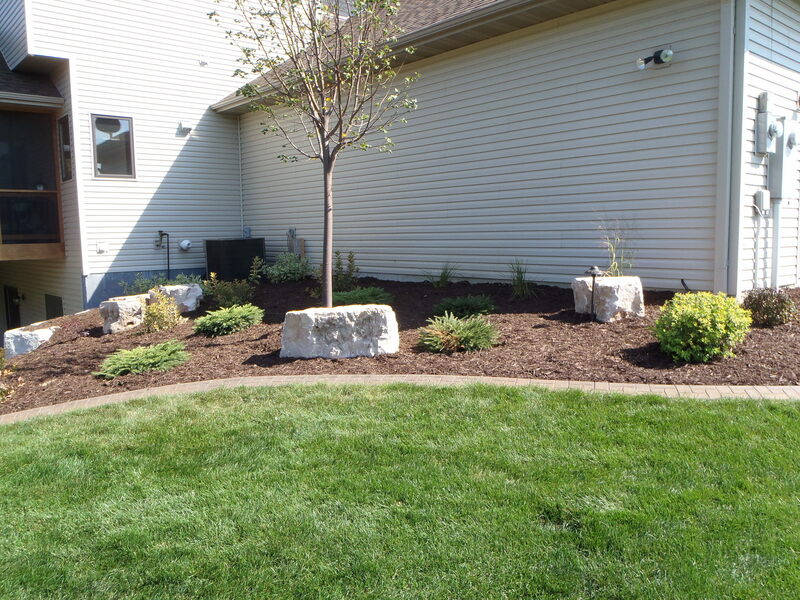 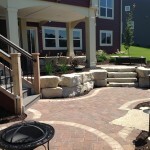 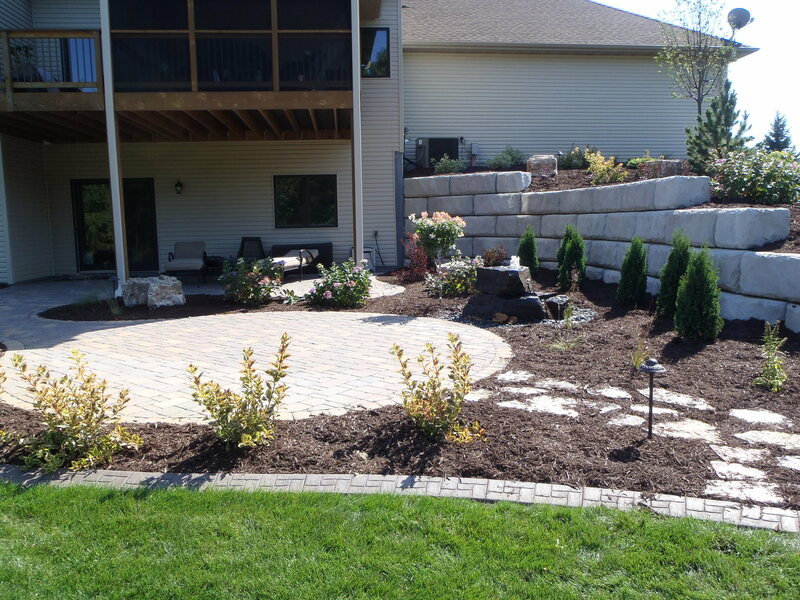 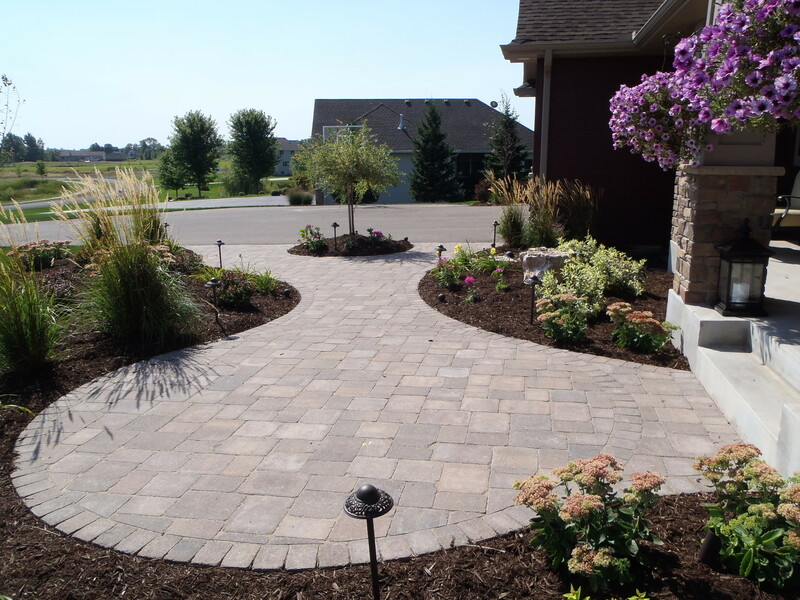 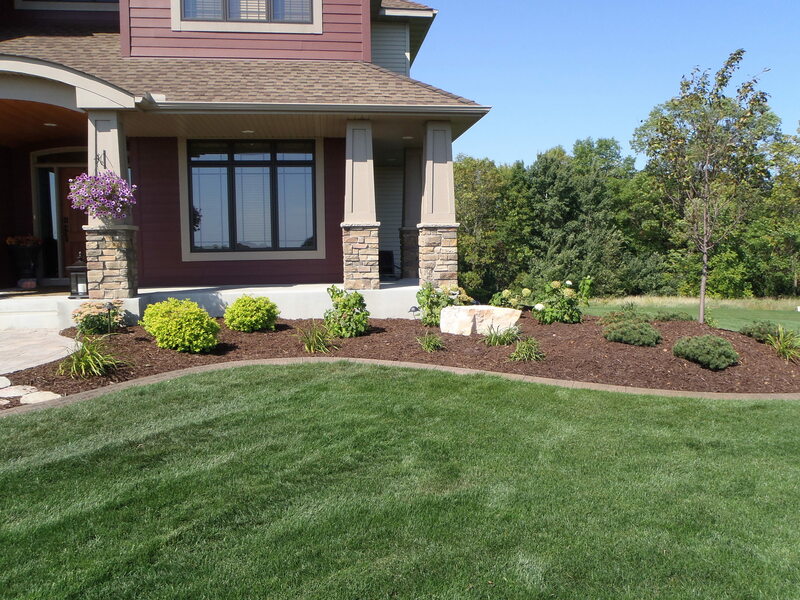 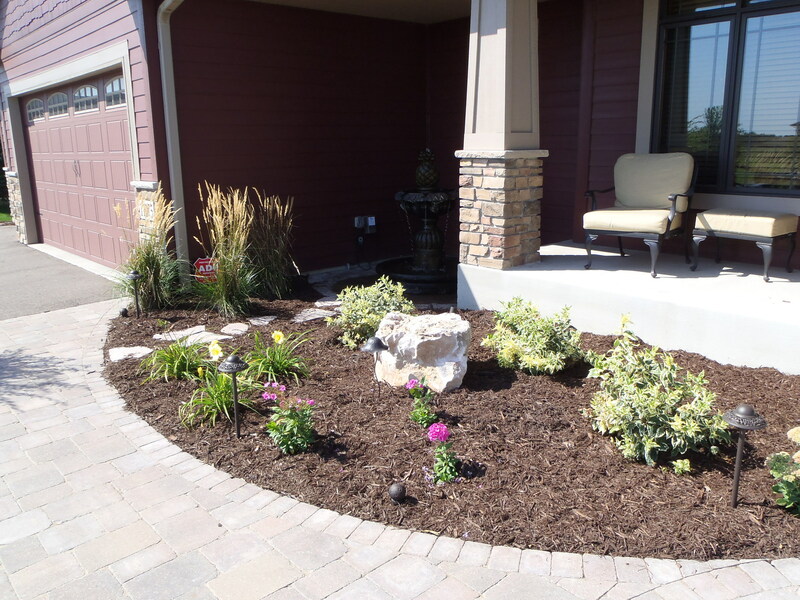 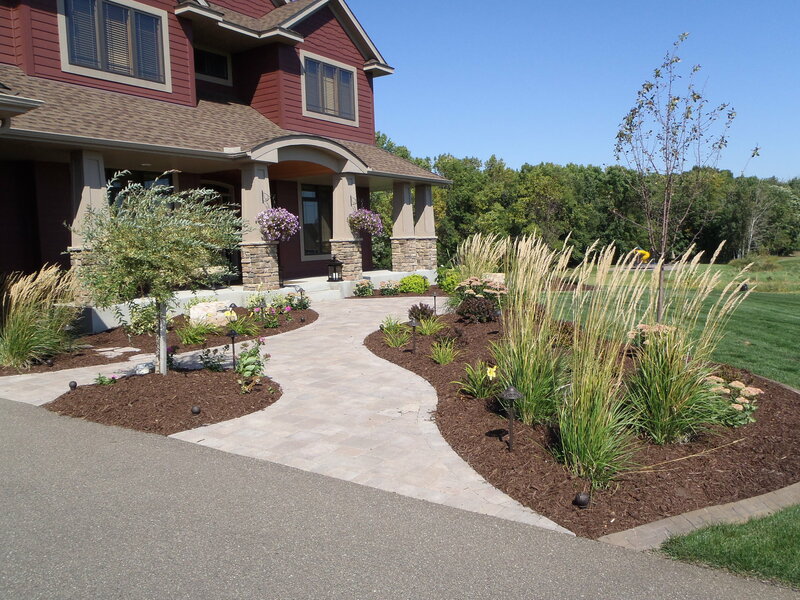 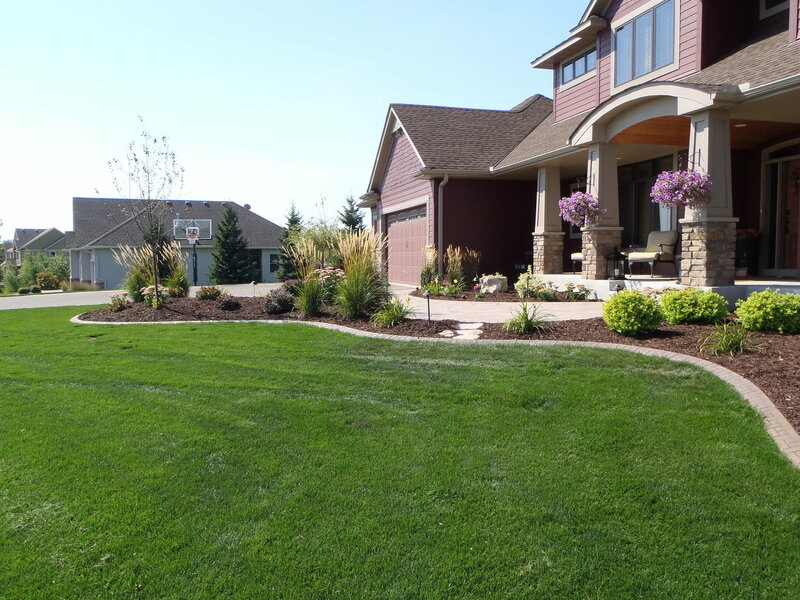 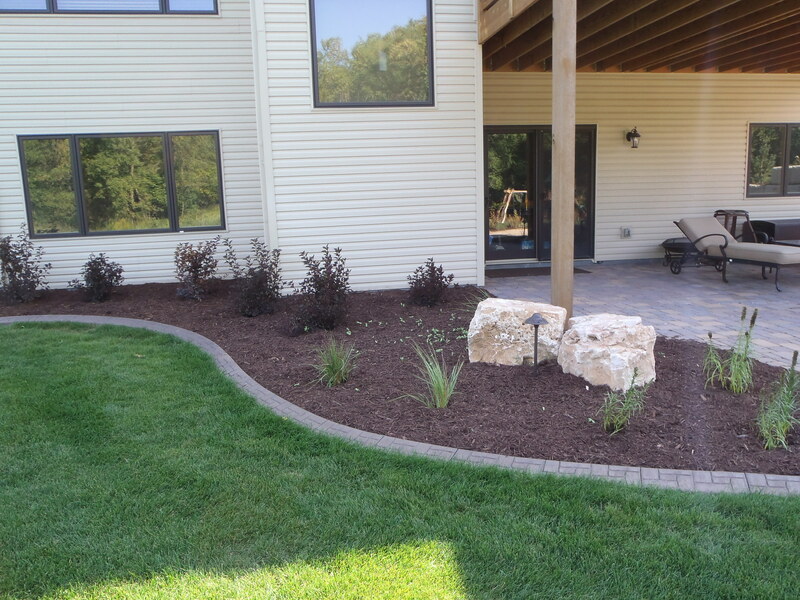 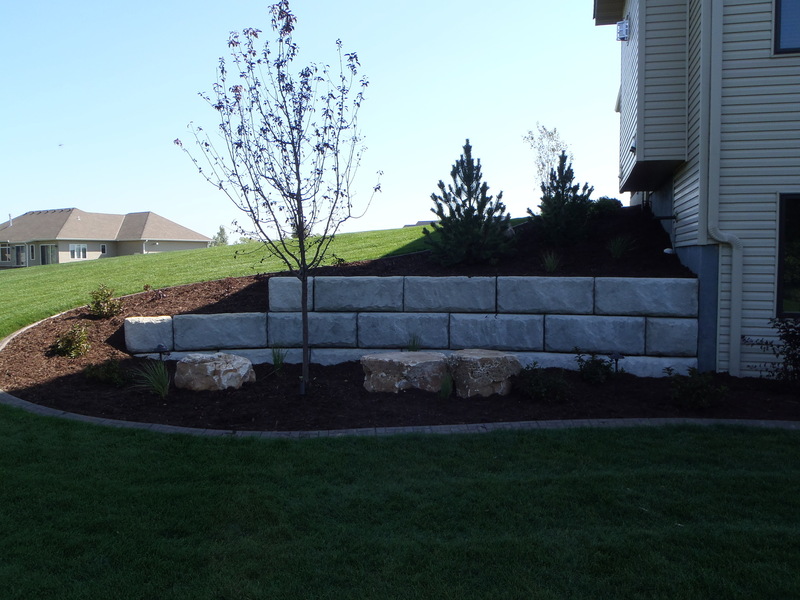 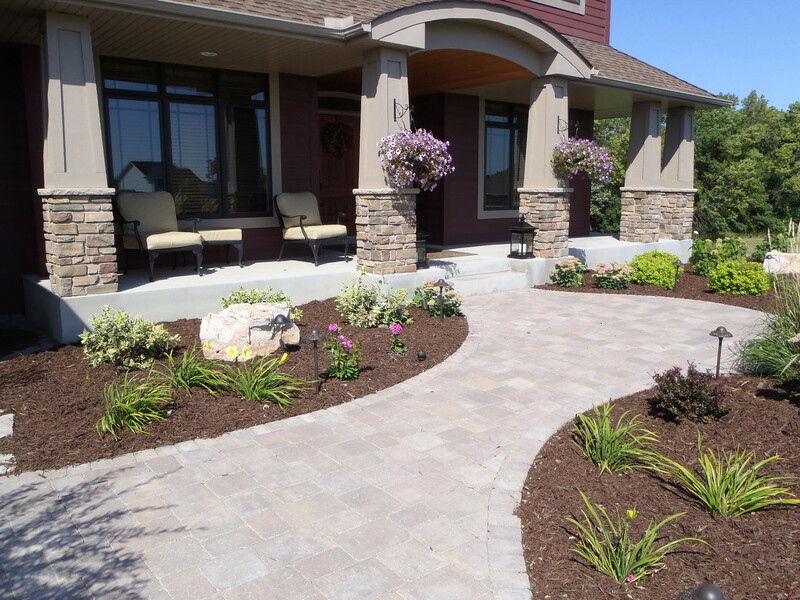 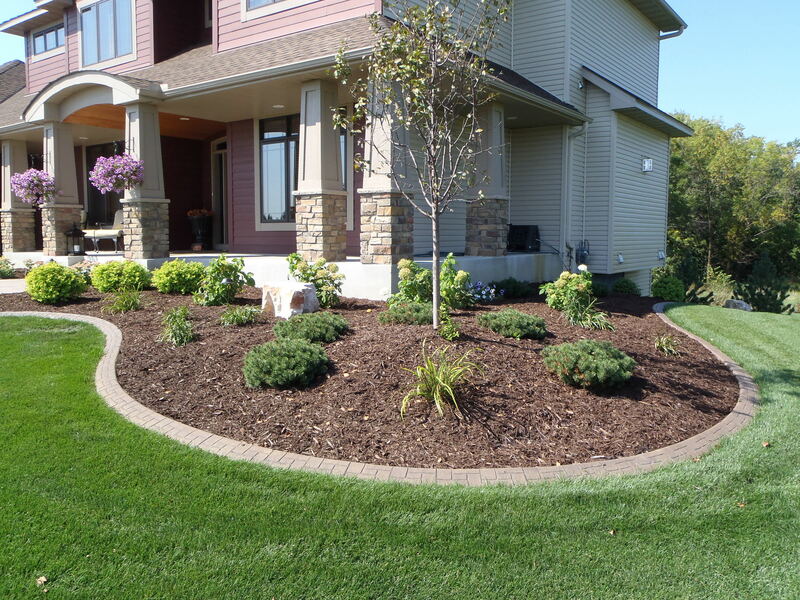 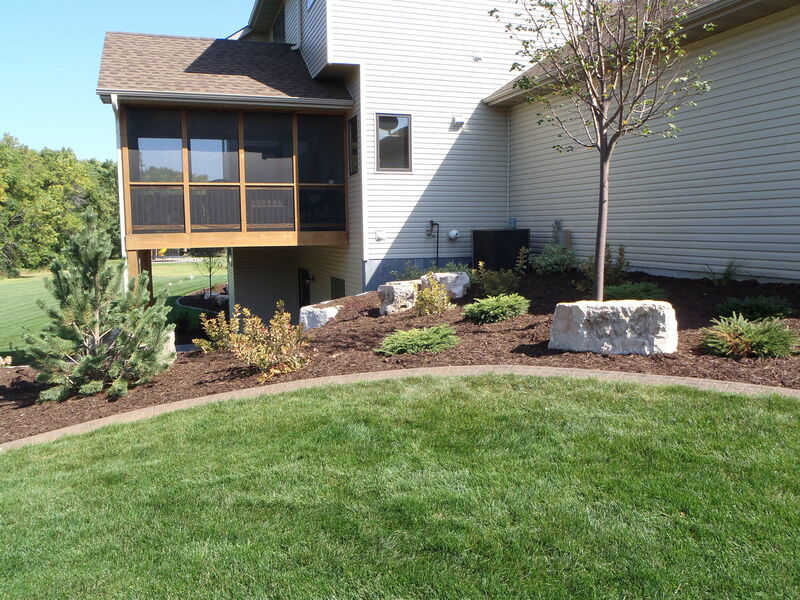 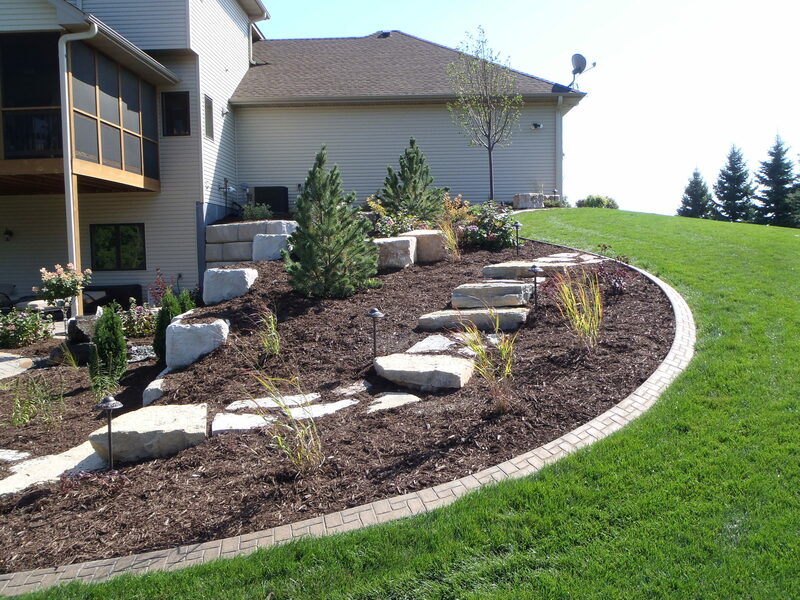 This custom landscape and hardscape project in Medina, MN featured many different elements to enhance the appeal of the house. 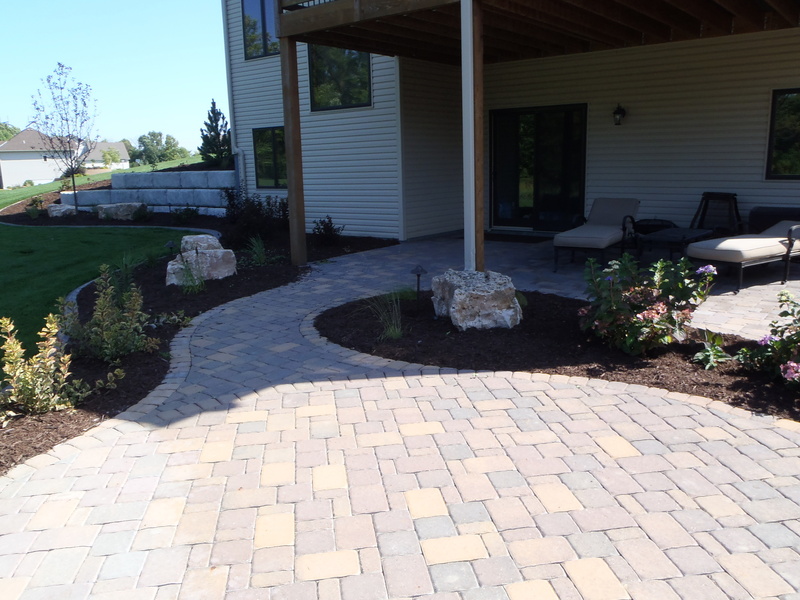 The Anchor paver sidewalk is accented with many different plants as well as Limestone cube outcroppings and brown dyed mulch. 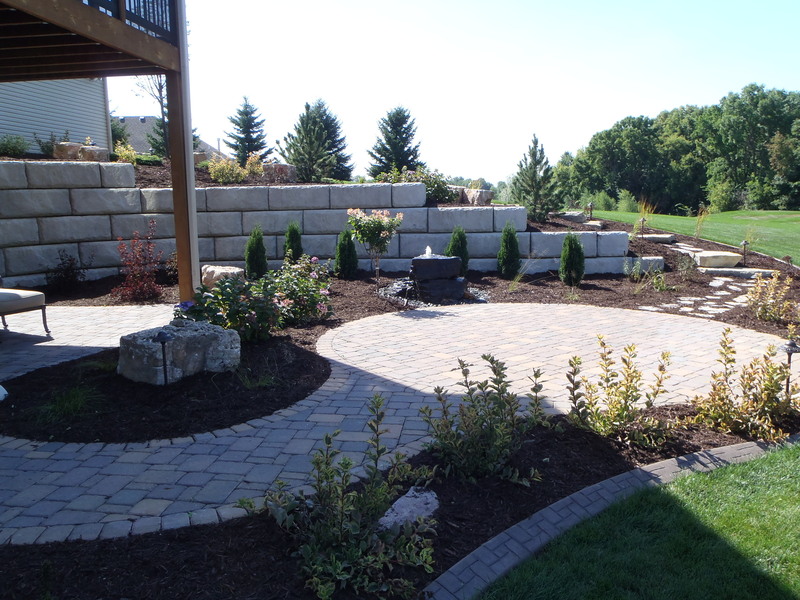 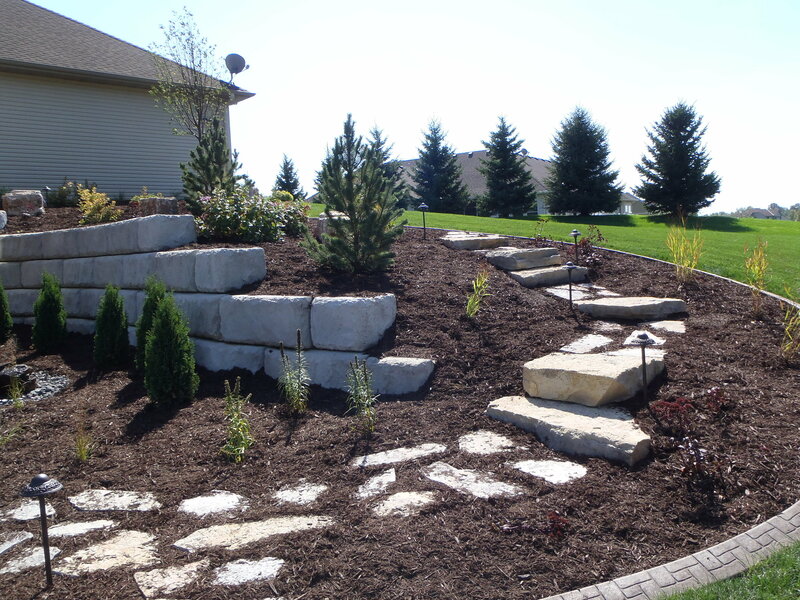 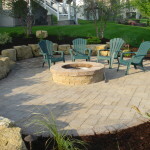 The back yard features an Interlock paver patio, a bubbling rock water feature as well as Limestone cube outcroppings and stairs through the mulch. 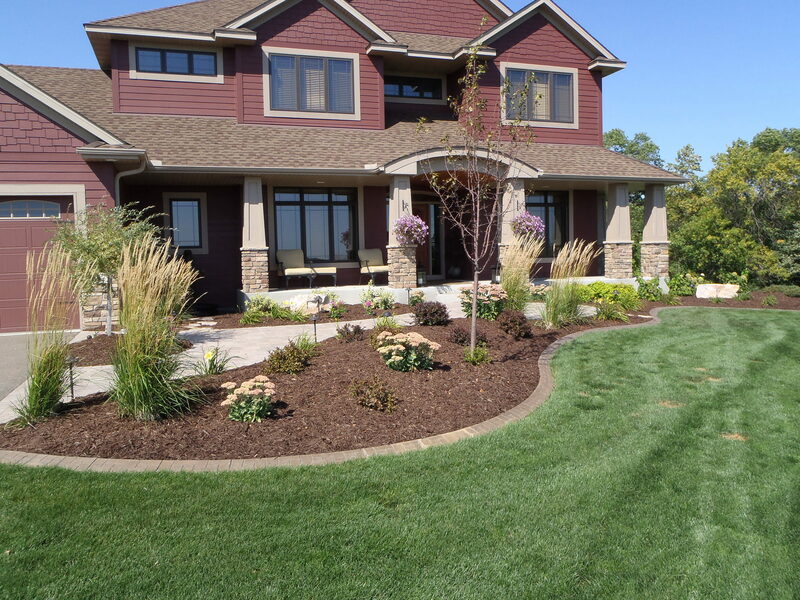 The landscape shines bright at night thanks to the landscape lighting that was installed to accent the landscape as well as the house.